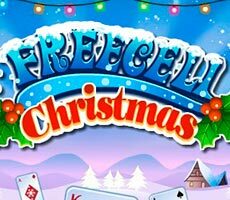 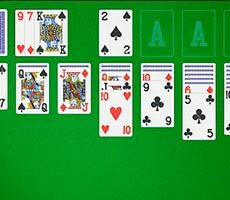 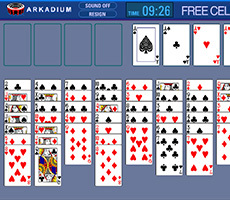 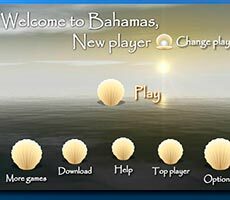 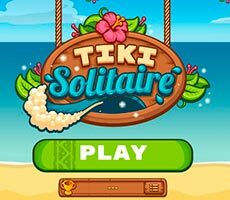 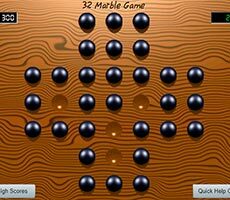 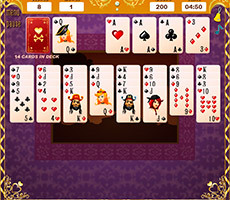 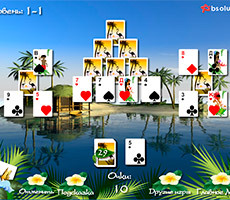 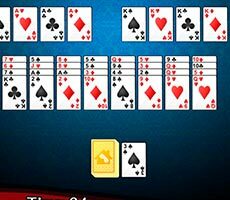 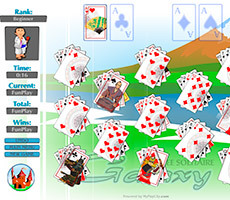 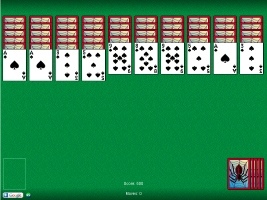 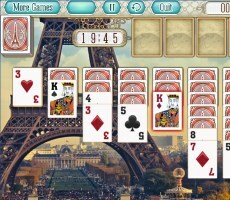 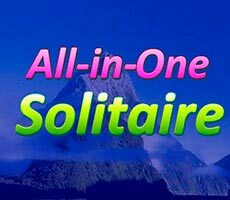 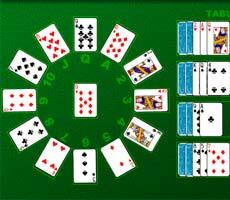 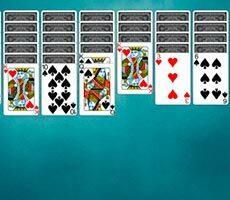 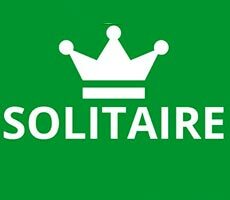 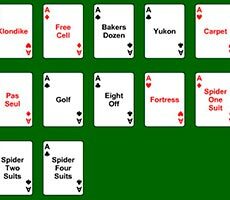 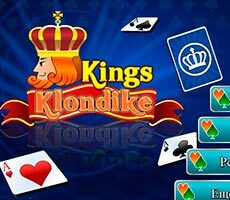 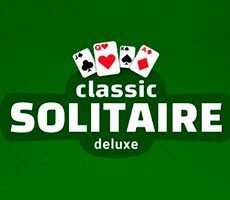 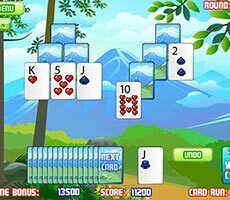 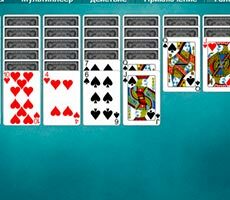 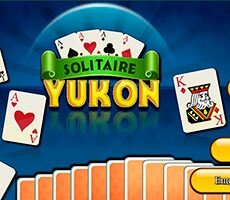 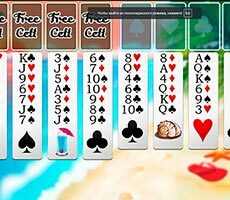 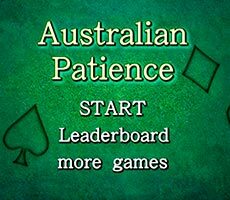 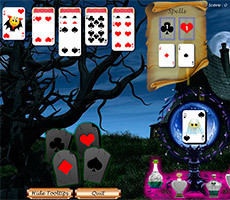 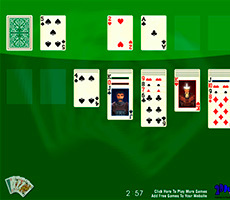 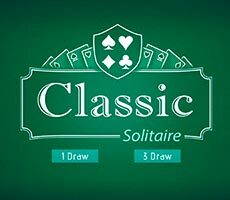 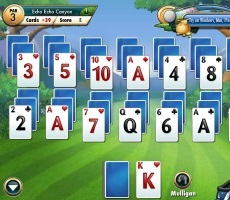 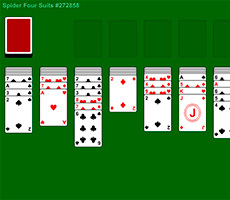 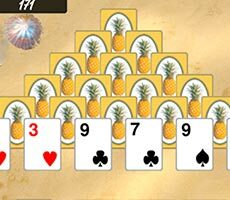 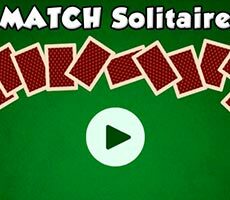 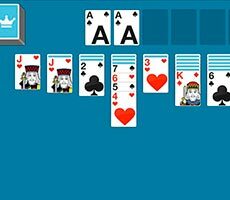 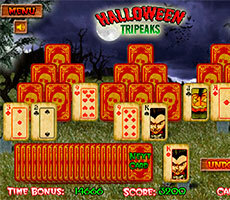 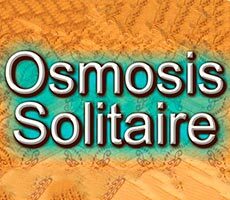 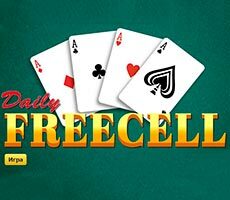 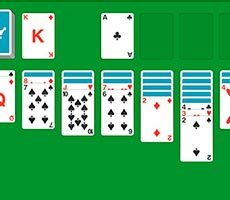 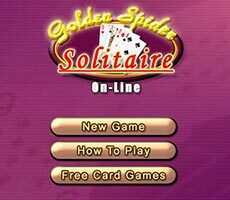 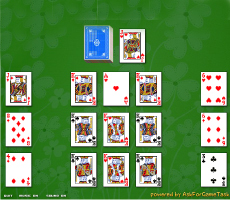 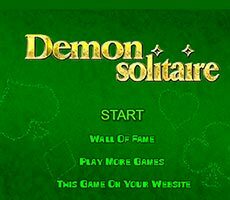 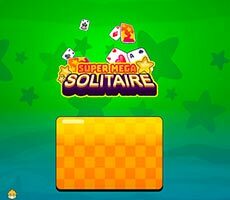 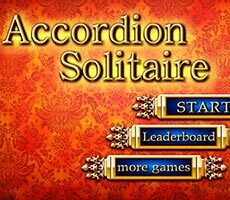 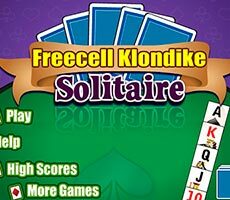 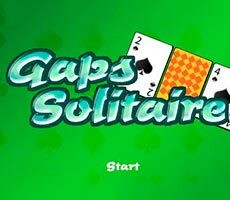 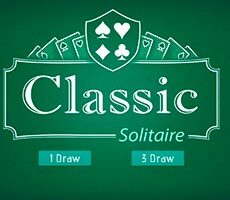 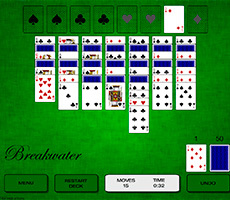 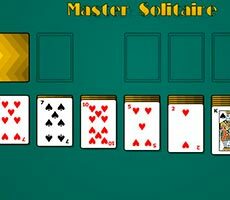 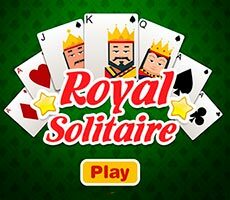 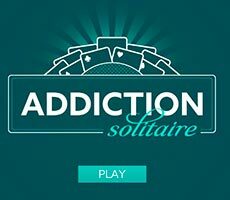 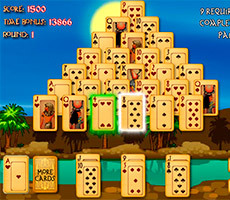 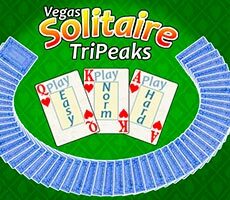 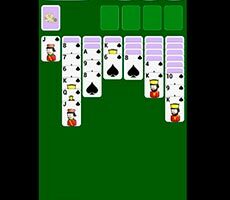 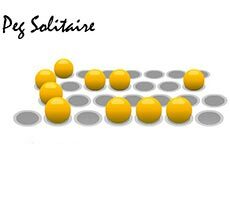 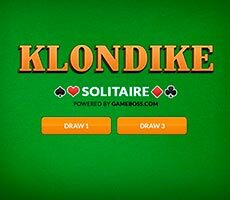 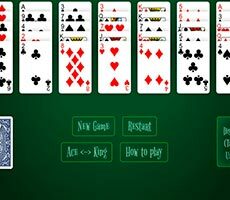 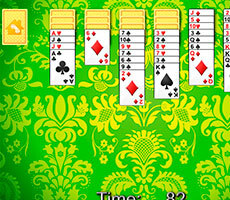 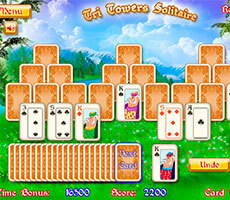 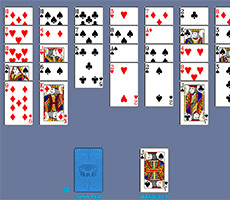 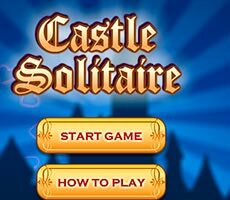 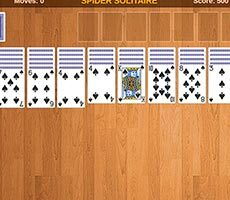 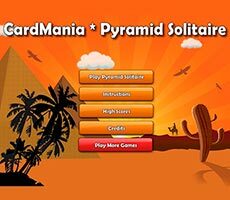 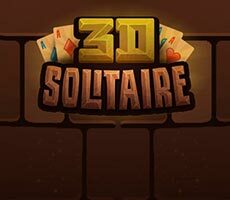 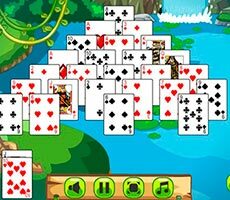 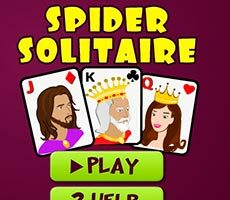 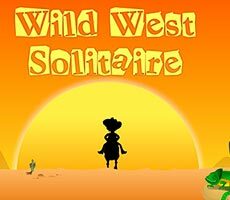 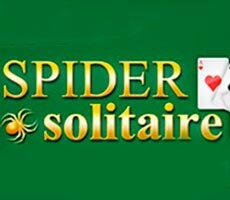 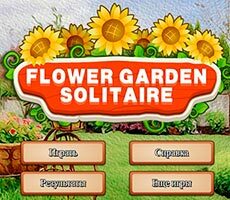 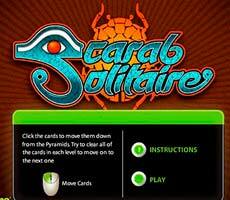 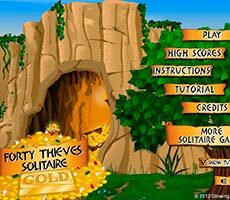 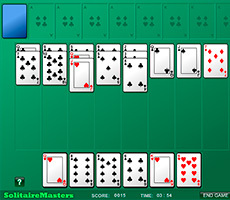 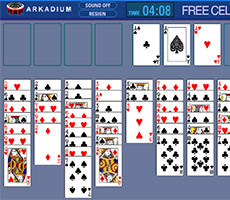 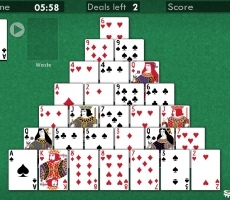 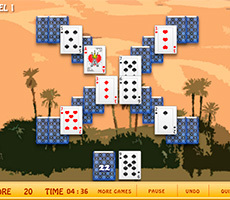 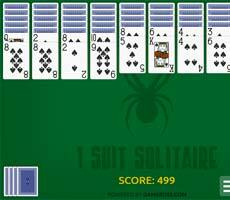 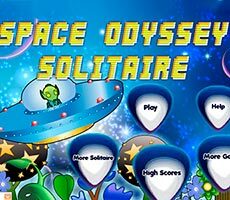 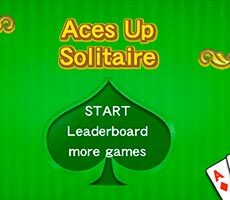 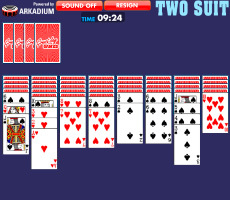 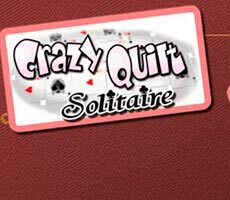 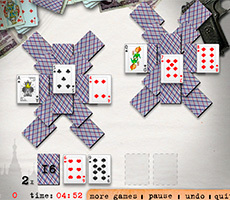 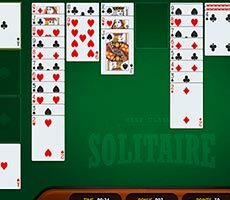 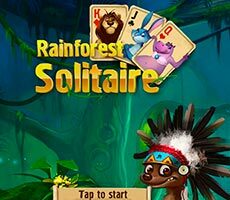 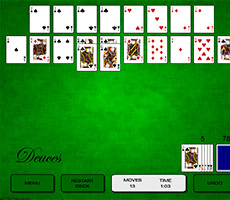 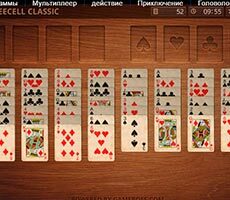 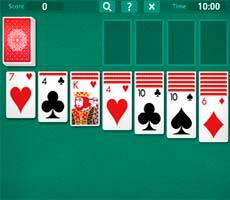 Play the «Aces Up Solitaire» game, showing all your attention. 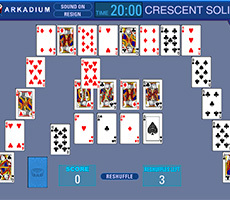 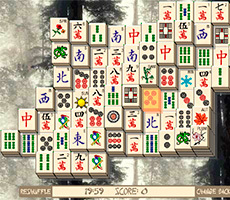 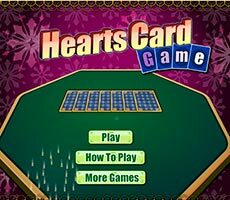 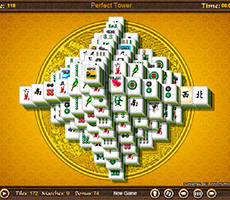 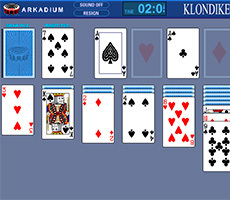 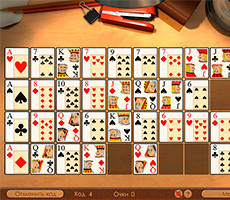 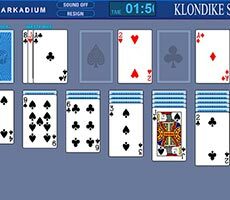 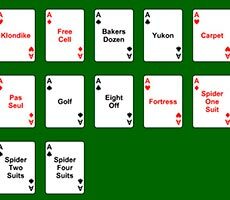 Your task is to remove all cards from the playing surface, leaving only aces. 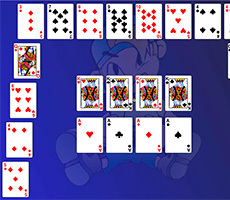 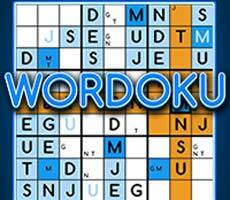 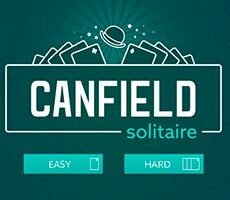 Cards will be given to you in batches of four, and you can remove objects that are in the same horizontal row. 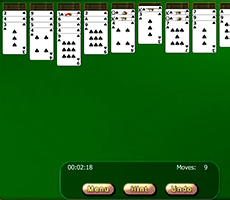 You need to click on cards of the lower value of the same suit to make them disappear. 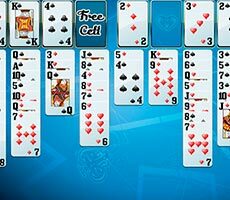 In this case, do not forget to use free cells placing any card on it.